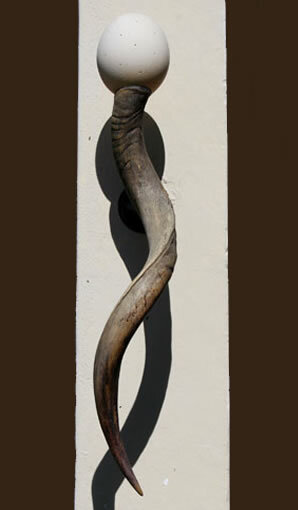 These kudu and gemsbok horn wall lights with an ostrich egg, functioning as the shade, are uniquely African and add a touch of class to your home. Great to be used as a pair. The horn is made out of resin to make these lights 100% environmentally friendly.